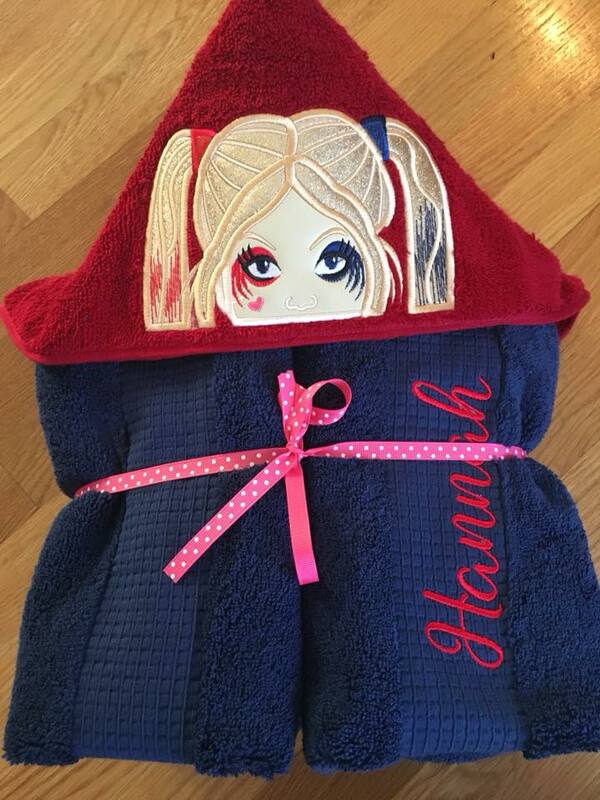 Whether for a birthday or Christmas gift or just because this quality hooded towel will be a hit! Our towels are one size fits most and your little one will be able to grow into them. It is a large size bath towel and a hand towel that is lined for the hood. The bath towel is an average adult towel measuring approximately 30" X 54". Great for using for bath time, at the beach or by the pool!